Washington, DC– Each year Engineering News-Record (ENR) MidAtlantic magazine showcases 20 architecture/engineer/construction executives who have demonstrated leadership and are highly accomplished from the very competitive mid-Atlantic market. 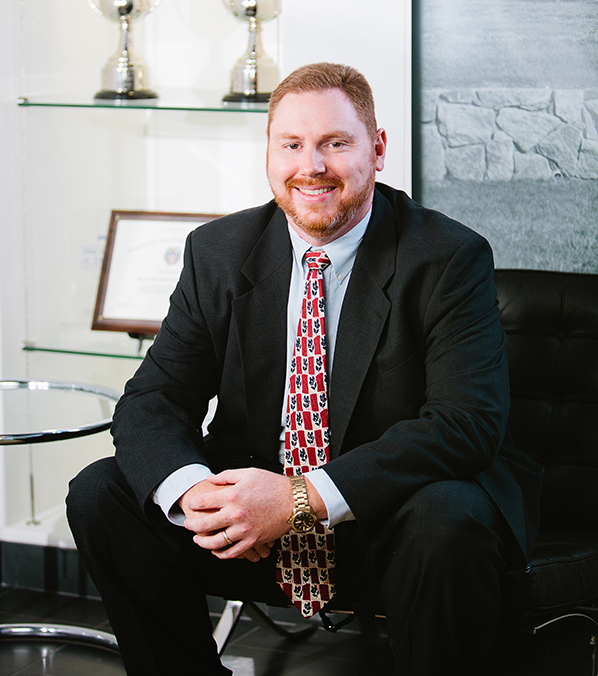 Manhattan Construction Company Project Director Jon Clark, was named one of the 2013 “Top 20 Under 40” by ENR MidAtlantic magazine. Individuals are selected based on their professional and educational achievements, contributions to the community, and industry involvement. Clark is profiled in the February 17th issue of ENR MidAtlantic magazine. At 38 years old, Clark has been with Manhattan Construction for 20 years. He began his career as intern with the company and today serves as project executive. Clark was promoted to project manager in 2002. Within five years he was serving as project manager on the complicated and high-profile, $310-million U.S. Capitol Visitor Center project in Washington, D.C. He managed the installation of new security-related design features and construction protocol which helped the Architect of the Capitol meet heightened requirements precipitated from the September 11 terrorist attacks. While at Manhattan, Clark has worked on more than $1.5 billion of federal construction projects. In 2011, he was promoted to project executive and assigned to lead the construction of the U.S. Army Medical Research Institute of Infectious Diseases (USAMRIID) Replacement Facility project at Fort Detrick, Md. When complete it will be among the largest, most complex bio-containment facilities in the world. Clark also mentors future professionals and has led Manhattan’s D.C. area internship program more than a decade. When Laurence H. Rooney founded what is now Manhattan Construction Group in Oklahoma Territory in 1896, he built his business and reputation for trustworthiness and dependability through consistent performance. These same timeless values have enabled Manhattan to grow and prosper into one of the most respected construction firms in the nation. The firm’s operating companies are Manhattan Construction Co., Cantera Concrete Co. and Manhattan Road & Bridge. Manhattan is recognized by Engineering News-Record as a top 20 U.S. domestic builder and in last two years has received 50+ industry honors for quality and safety. The company’s services include Builder-Driven Pre-Construction®, construction management, general building, design-build and turn-key projects, and roads, bridges and civil works. Manhattan works in the U.S., Mexico, Central America and the Caribbean. For more information about Manhattan, please visit: www.manhattanconstructiongroup.com. You are currently browsing the Manhattan Construction Group blog archives for February, 2014.